Osaka is really delicious city. I want to go there again without fail. 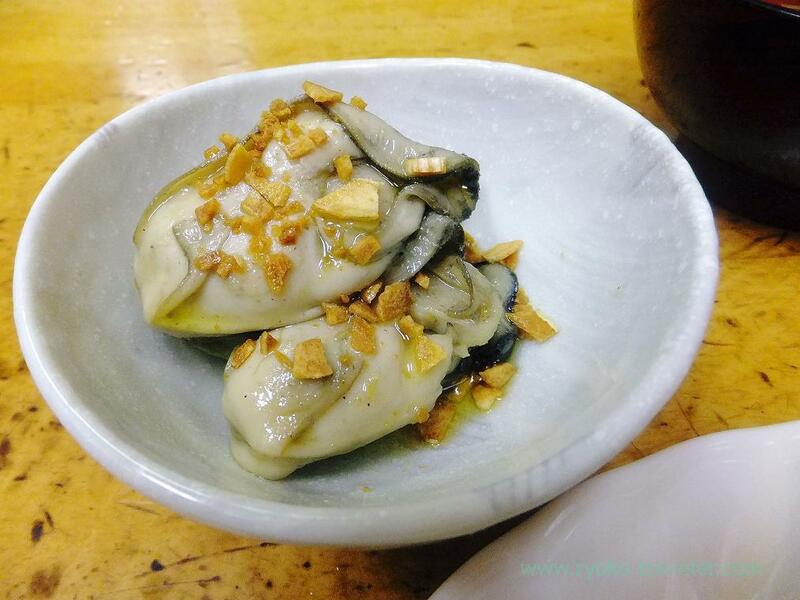 And Tokyo is also a delicious place.Even among them, I understood again Tsukiji is No.1 in Tokyo. 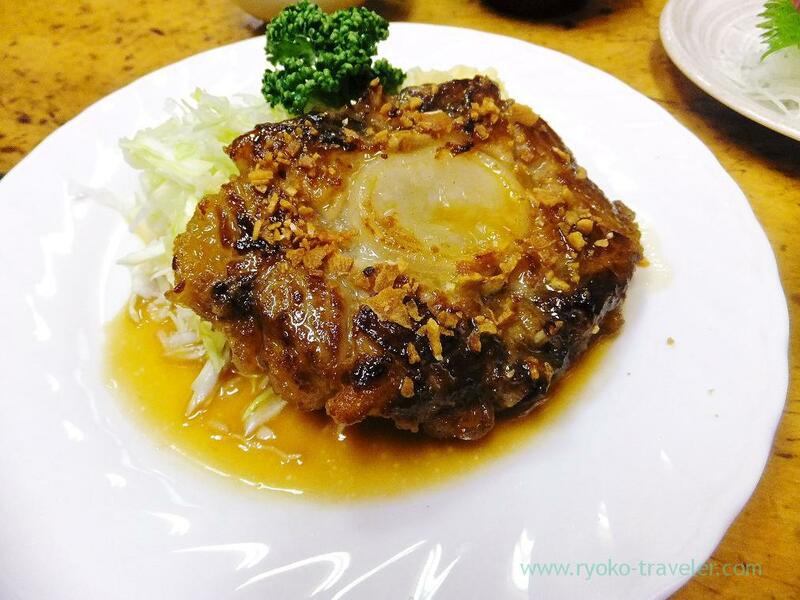 Odayasu is my eatery in Tsukiji now ! Last time I went to there to eat tuna’s tail steak or marinated oysters with olive oil. But to my regret, both of them weren’t on the menus. But both of them were on the menus this time ! Spicy and sweet soy sauce and garlic chips. The marrow of the bone (white one, middle of the meat) had so much collagen 🙂 That’s great. Four pieces of oysters on the dish. Those oysters were marinated lightly. So fresh and it had springy texture. I cannot take my eyes away from Odayasu’s menus ! And, though it is not new dish, but we also ate Tuna sashimi (まぐろ刺身, 600 yen) . Odayasu is not a fresh seafoods specialty shop. 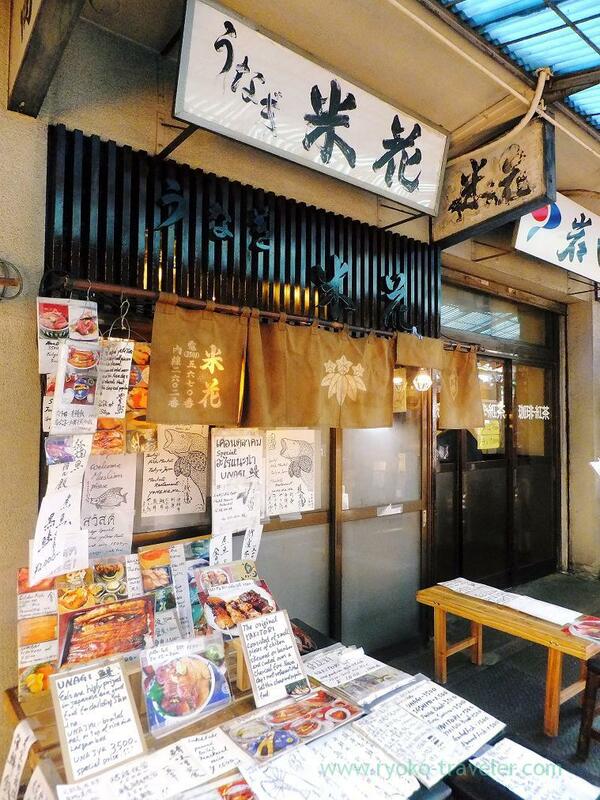 But Odayasu stand within Tsukiji Market. So we expected they serve us good sashimi. 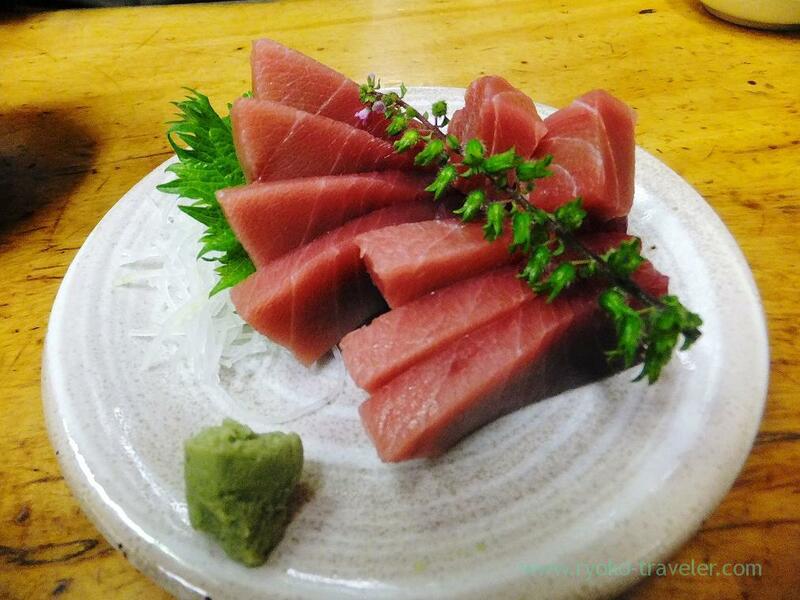 Sometimes they get raw bluefin tuna at valuable price and serve to guests ! So, they might sell oysters now. Finally, “Golden week”(early-May holiday) has set in this year, too. Tsukiji will be so crowded. 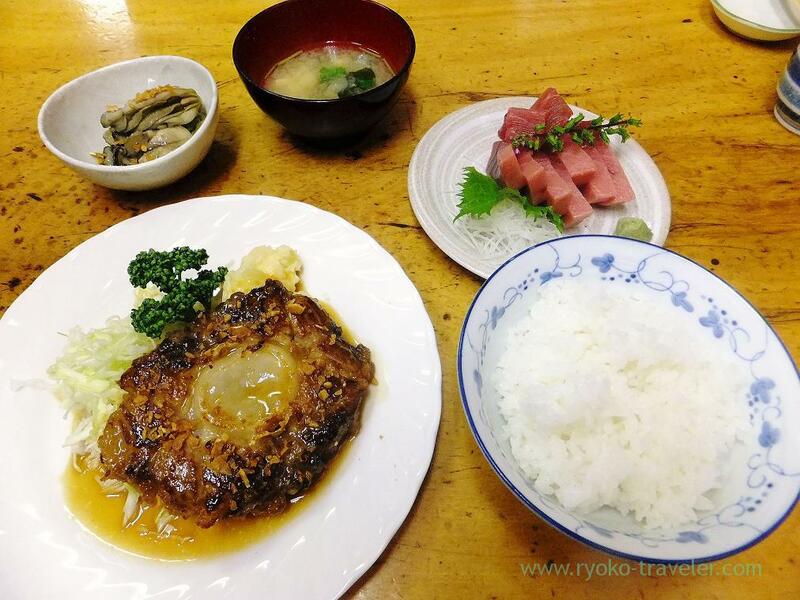 A, I think Odayasu don’t have much guests even during golden week because many people connect Tsukiji with sushi and sashimi bowl. Last, I have information for you. 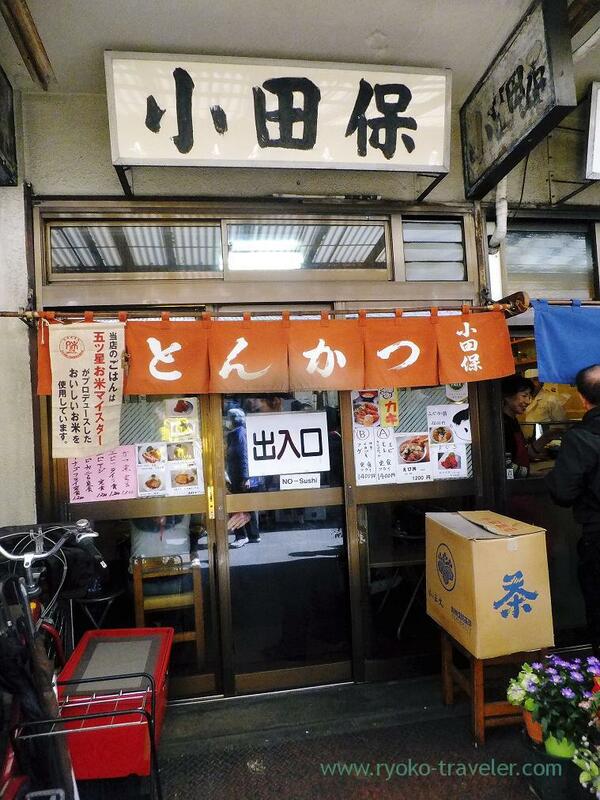 Price of Yonehana’s sashimi bowl increase from 1500 to 2000 yen because of consumption tax increase. But it seems the amount of sashimi increase too.